— Main Menu —Home Events Calendar Chartering/ Rates NFL Games Casino and Resort Trips Concerts Theme Parks NBA Games Boxing/ UFC Photo Gallery El Paso Wine Tours Past Trips Reviews Sponsors F.A.Q. When traveling, everyone wants peace of mind. No missed flights, running to gates, security scans, and most importantly, no worries. 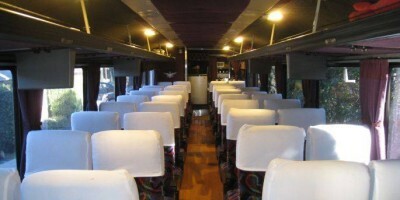 With Classic Elegance Coaches LLC you will get first class packages at an affordable rate. Luxury travel is becoming the primary means of transportation overseas, so why not here? El Paso is a great hub to many places and many things, all within a 10 hour drive. With quality over quantity, we’d like to help you take advantage of these getaways. 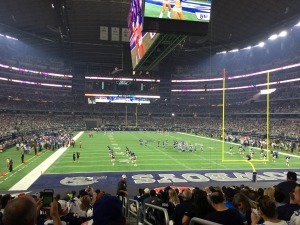 Click here for El Paso’s Best Cowboys Packages! 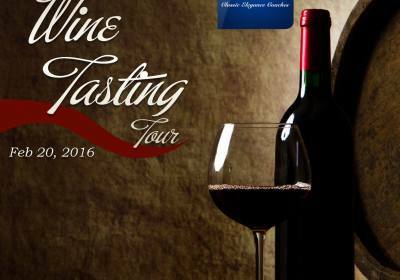 A Wine Tasting Tour – New Dates Coming Soon! We believe things just aren't made like they used to, so we want to bring back that "classic elegance". Our 5 flat screen TV's, power outlets at each seat, 8 VIP seats with extended legroom, and completely refurbished, less populated seating means more comfort for you. Whether relaxing, or having a party, you will surely be comfortable. Find the best tour for you! ©2014 Classic Elegance Coaches LLC. All rights reserved.